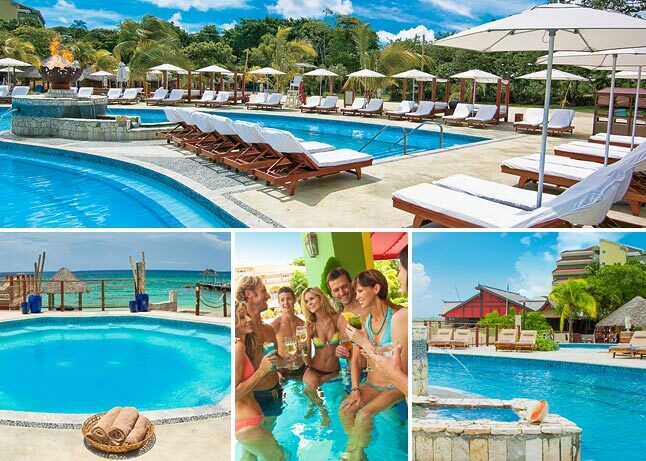 Sandals Grande Riviera Voted Caribbean's Best in 2013! Sandals Resorts is thrilled to announce that Sandals Grande Riviera Beach & Villa Golf Resort has been recognized as the “2013 Favorite Caribbean All-Inclusive Resort” in the annual About.com Readers’ Choice Awards. The About.com Readers’ Choice Awards highlight the best products, features and services across a variety of topics. Over 13,000 readers voted this “pioneer in upscale all-inclusive travel” their favorite. With 15 restaurants, the luxurious Red Lane® Spa, 105 pools, 22 hot tubs and complimentary green fees at Jamaica’s most elite and popular golf course, the Sandals Golf and Country Club, the largest resort in the company’s portfolio continues to win guests over year after year. Following a $60 million refurbishment, the resort recently introduced the All-Butler Riviera Villas, allowing guests to experience VIP treatment and elite service from expertly-trained butlers the moment they arrive. To learn more about the award-winning resort, or to book your Luxury Included® vacation today, Click Here or call 1-888-373-3677. The complete list of winners can be found at http://gocaribbean.about.com/od/beforeyougo/tp/2013RCAfinalists.htm.